You’ll meet many kinds of people in your career as a cosmetologist, and one group of clients you’ll become familiar with is those who are overly cautious about health concerns in the salon. It’s true that there are a few chemicals and ingredients in common hair and beauty products that aren’t entirely healthy in large doses, and some people are particularly concerned with staying far away from any of these. At Collectiv Academy, our beauty school instructors will teach you exactly how to handle these clients respectfully and with care. Here are a few basic tips you can give to clients who are overly cautious about products and chemicals. Though chemicals will be listed on a given product’s ingredient deck, it’s possible that not everything included in them will be listed. Especially in the case of items like fragrances, these can contain unknown chemicals. These products tend to come with Safety Data Sheets, which you can refer the client to, or you can recommend that they contact a manufacturer specifically if they’re concerned a product has ingredients that aren’t listed. The aroma of a given product or area of the salon can tell a lot in some cases. Highly chemical smells can indicate ventilation issues – if you notice these, check how you can improve the ventilation in the salon. The healthier hair is, the longer color can be preserved – meaning the less frequently clients will need to use dyeing products containing chemicals. Babying the hair includes investing in color-saving products, which can support hair health and make color last longer. Also advise clients to protect from the sun, and go without a wash for slightly longer periods when possible. For people who want to fully avoid many chemicals, you can advise a natural route. There are many natural or herbal hair products out there, for everything from hair coloring to treatment. Many people find success adding vitamin E, wheat germ oil or avocado oil to help condition hair. 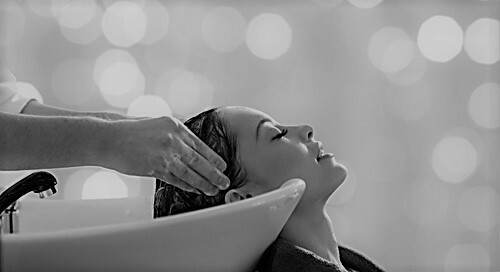 To find out more about pleasing chemically-sensitive clients, or about any other details of our cosmetology program, speak to the educators at Collectiv Academy today.